As the once choppy waters of the music industry in the Netherlands begin to subside, a number of trends have emerged. Here, Colby Ramsey discovers why those in the domestic studio and post-production sectors are now attempting to globalise their offerings more than ever. 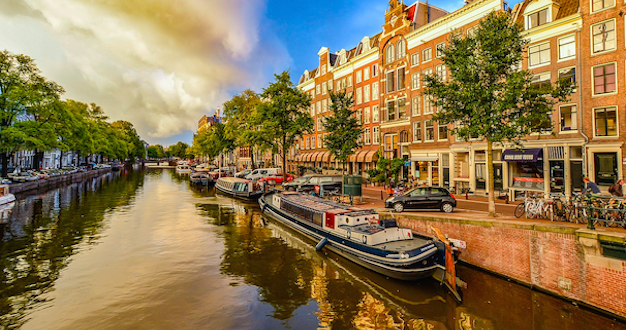 Like in many countries, the music industry in the Netherlands took a hit following the financial crisis and resulting economic stagnation of 2007-2009, with a lack of healthy budgets struggling to keep the market in good shape. Since then, the landscape has changed somewhat dramatically thanks to the increased availability of good quality, reasonably priced prosumer recording equipment and high speed internet in the Netherlands, as well as the emergence of new educational institutes for popular music and music recording, leading many new artists to decide that it would be wiser to record, produce and distribute their music themselves. 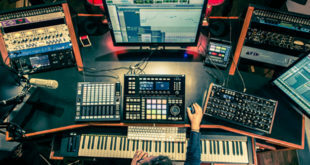 While the consumer side has also changed with the growing popularity of music streaming services – causing saturation of the market – Legacy Studios’ recording and mix engineer Joram Pinxteren believes that the waters have become calmer in the last two years, with artists, managers and record companies recognising the importance of remaining competitive in terms of their recording and production offerings. Meanwhile, those in the post-production realm are continuing to enhance their workflows with linked servers, meaning audio can be imported and mixed often without any client being present: “All this makes production much more efficient, especially on bigger and more costly productions – and with constant cost-savings being asked for, this is a must,” notes United Post-Production’s head of audio Rob van Schoonderwalt. Van Schoonderwalt goes on to explain that the implementation of the R128 norm for broadcast audio-mixing “really shook up the establishment,” with the legislation being welcomed by some mixing engineers and protested against by others, partly because some did not understand the motivations behind it. Hilversum-based United has been investing heavily in new formats like 4K, 8K and HDR together with integrated workflows to demonstrate to potential clients what can be achieved and how it can be done cost-efficiently. This change in approach has lead to a boom in business for United, both with conventional and high-end post-production work from clients at home and abroad. When it comes to Ulenberg’s specific line of work, he has noticed a shift away from subtitling and a step towards dubbing, and also continues to observe healthy growth. “If clients need more localised versions of the same show in different languages, chances are that the Dutch actually speak those languages. That gives an extra security of the quality that is being delivered,” he says. Despite this positivity, the Dutch market as a whole faces constant challenges, the most significant of which for Ulenberg are turnaround times and pricing. He asserts that being flexible is the only way to overcome and embrace this challenge. Van Schoonderwalt adds that while it is important to join forces and collaborate with others as part of a post-production ‘family’, surviving alone in the market has become very challenging. For Pinxteren, the main challenge seems to be an over-abundance of the recording industry’s willingness to think big in terms of its scope. It is very attractive for Dutch artists to carry out their projects in big recording centres in the UK and USA, “therefore the biggest challenge seems to be able to keep the artists closer to home,” he observes. 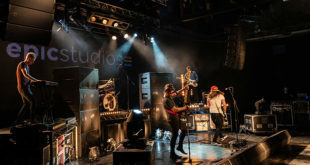 Despite being a rather small country compared with some of the European powerhouses, the Netherlands acts as the gateway to the rest of the continent, and continues to lead the way in pro-audio innovation. Players from across the industry should still be mindful going forward, though. 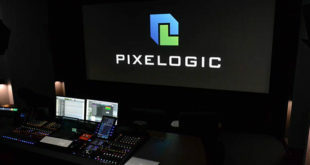 Post-production companies particularly may look to increase their chances of survival by investing in the latest technical developments, as well as collaborating and combining their expertise with those of different disciplines to meet client demand. While post work is as prevalent as ever in the Netherlands according to van Schoonderwalt, he believes that the overall quality of the work and the engineers/mixers has to be better if the industry is to maintain and expand on its strengths. On the dubbing side, Ulenberg predicts that in due time all international shows will be available in spoken Dutch, reflecting healthy growth in the domestic market. “Whether it’s adult or children-based, the viewer wants the choice after all,” he affirms. On the contrary, there is hope that there will be enough experimentation and originality in the Dutch music industry to uphold it as an interesting area to work in, with widely available high speed internet in The Netherlands having a significant impact on how music is consumed, and many telecom providers offering free music streaming bandwidth for their customers.